Showery weather marks start of season. 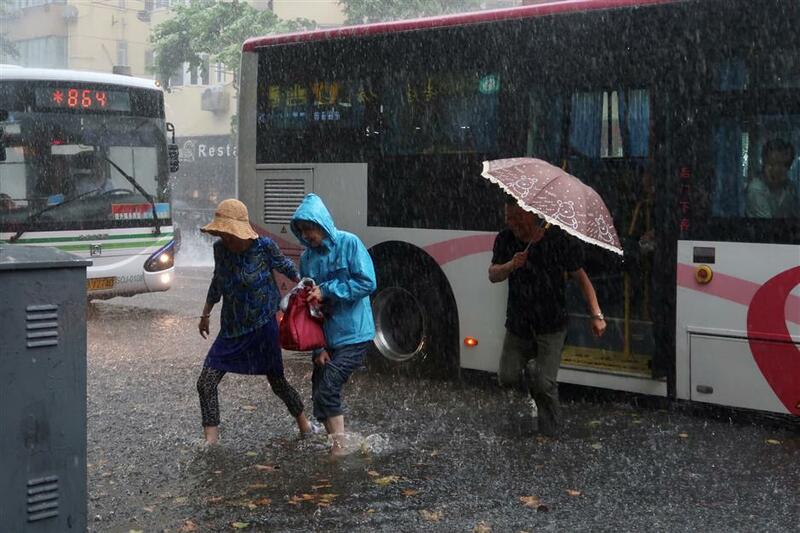 Passengers wade into the water after getting off a bus in heavy rains in Shanghai yesterday. 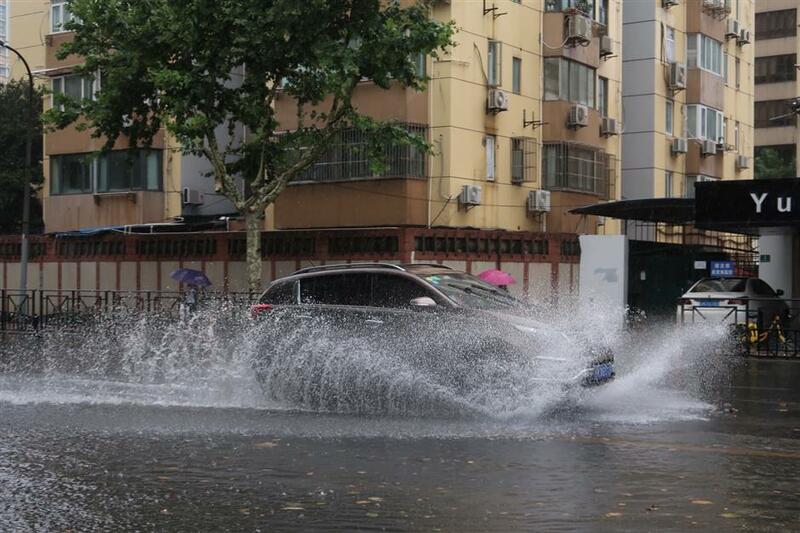 The annual plum rain reason arrived yesterday as most of Shanghai was soaked by heavy rains, according to the local weather authority. 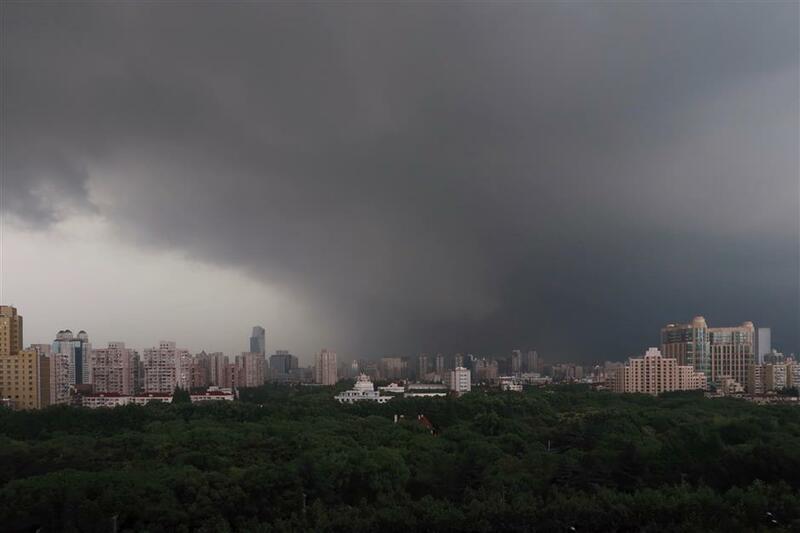 The wet weather will be persistent till the weekend and temperatures will drop, according to the Shanghai Meteorological Bureau. 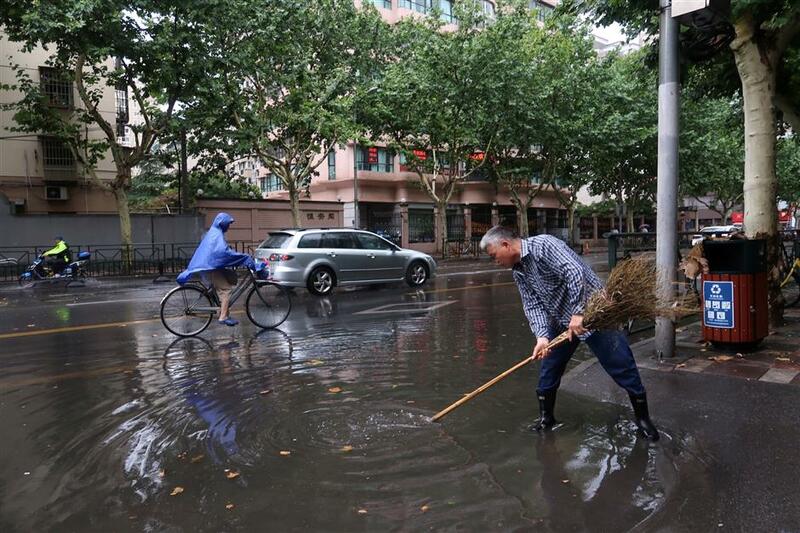 The first wave of plum rains came with an eastward-moving cloud and rain mass, which hit the city yesterday afternoon with downpours and thundershowers. The weather bureau also issued three yellow alerts — the lowest level in a three-tier alert system — for lightning, strong winds and heavy rains respectively. The showery weather will repeat today, with the high temperature falling to 26 degrees Celsius. 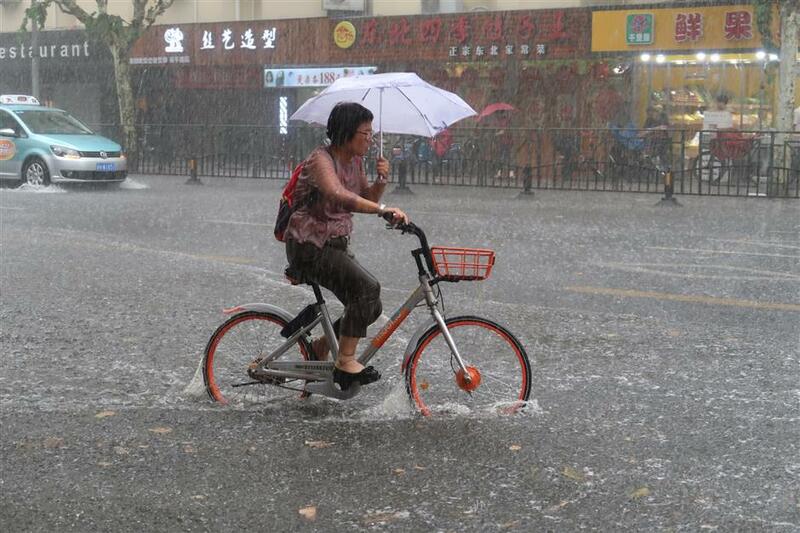 Rainfall could reach 30 to 40 millimeters per hour. Tomorrow will see mainly cloudy to overcast skies. Another round of showers is forecast to arrive on the weekend. The mercury will range from 23 degrees to 28 degrees between tomorrow and Saturday. On Sunday the temperature will rebound, with scattered thundershowers also expected. Meanwhile, the rains will clear the city's air, making for low pollution levels today and tomorrow.